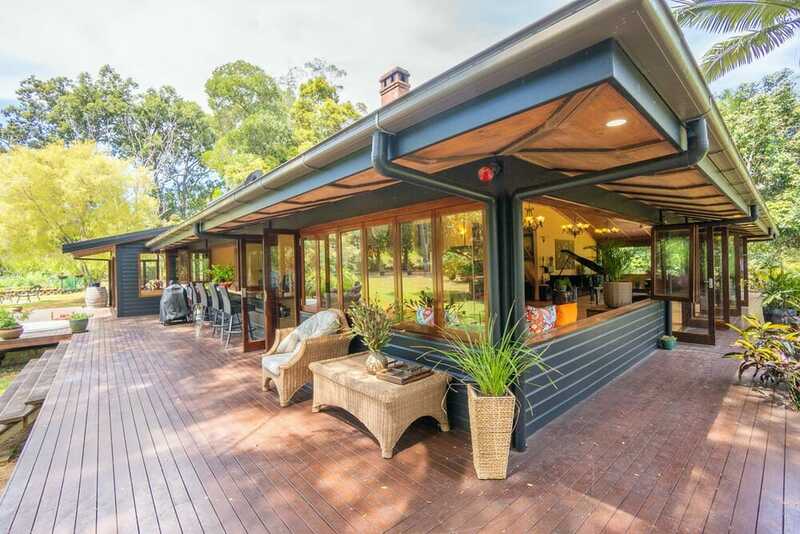 In the words of the current owner…”some houses are just built to live in, others are created and have evolved so you can thrive – this is one of those houses”. 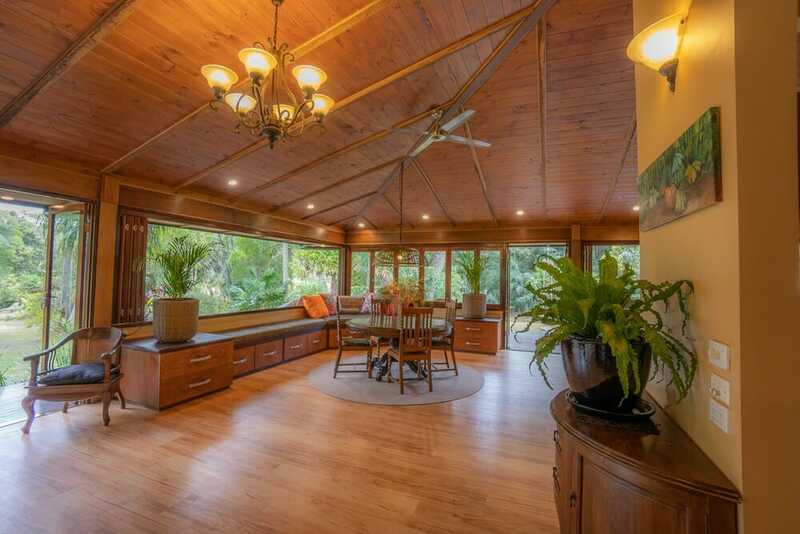 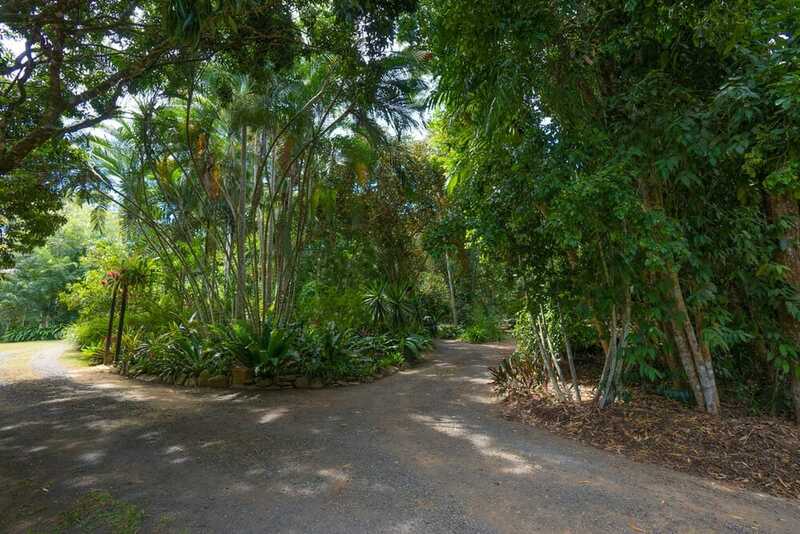 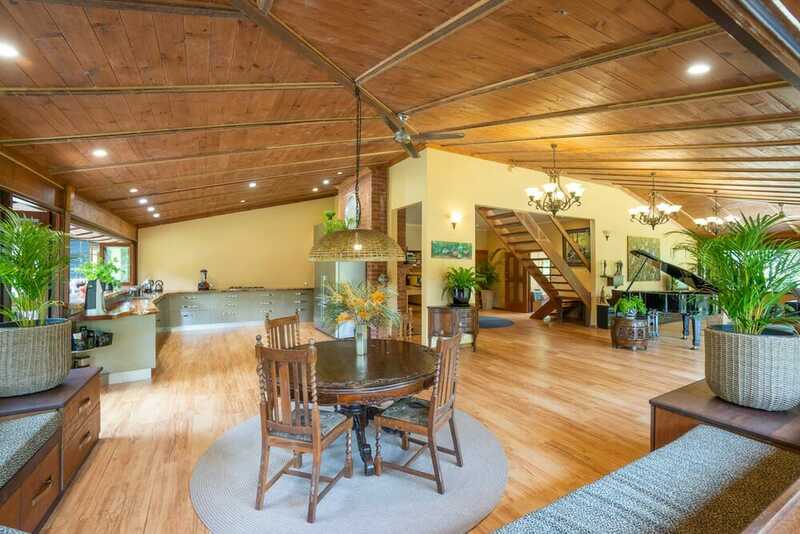 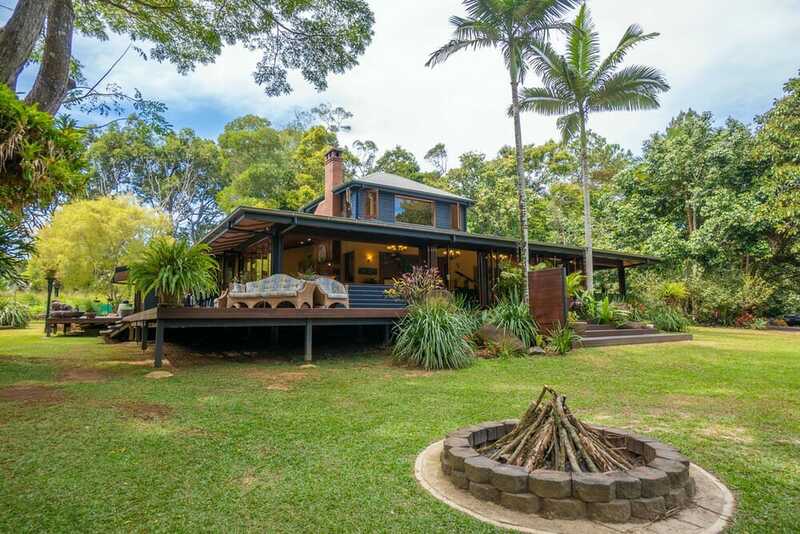 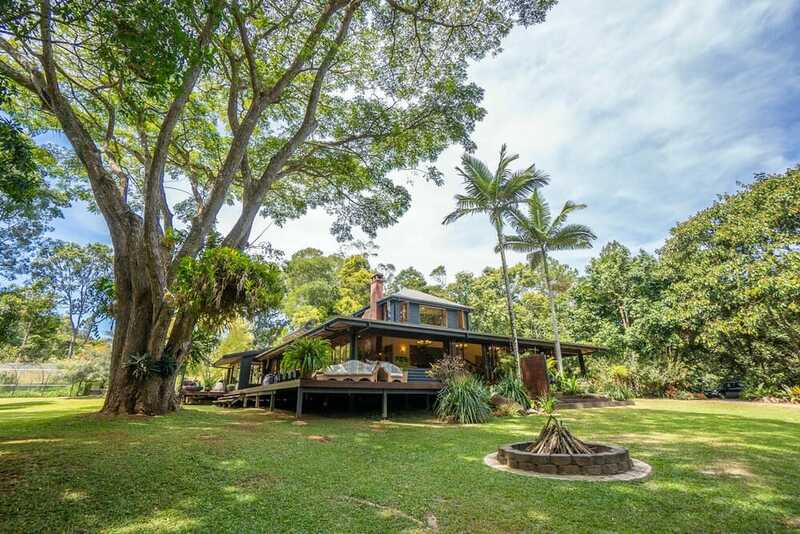 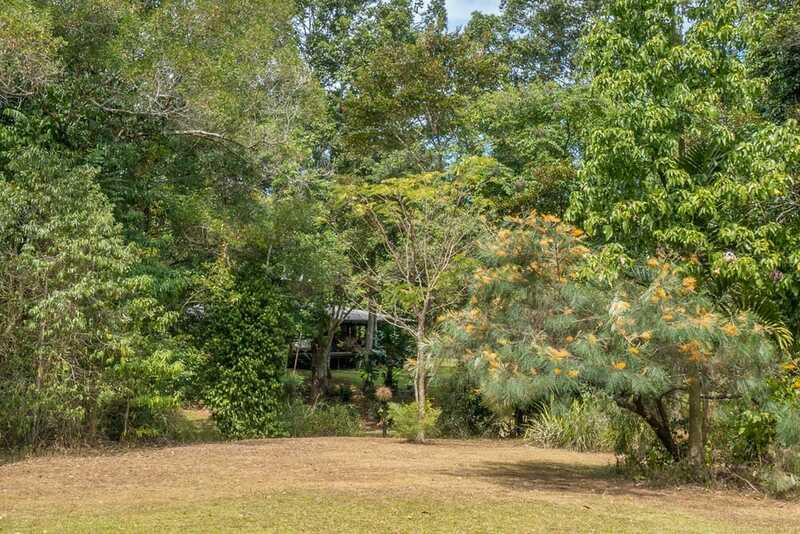 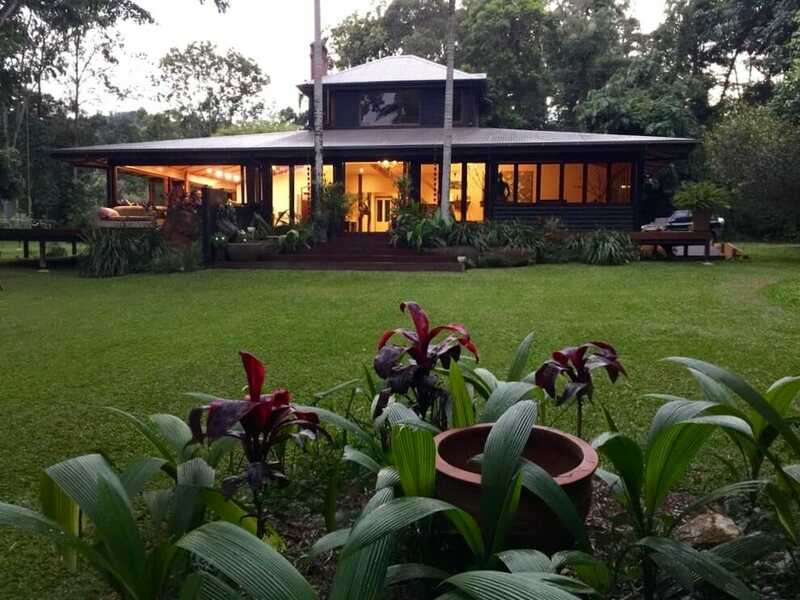 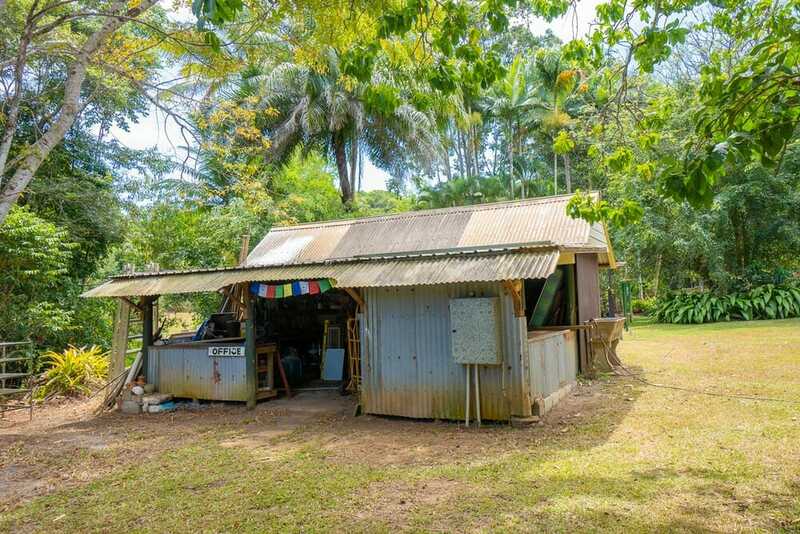 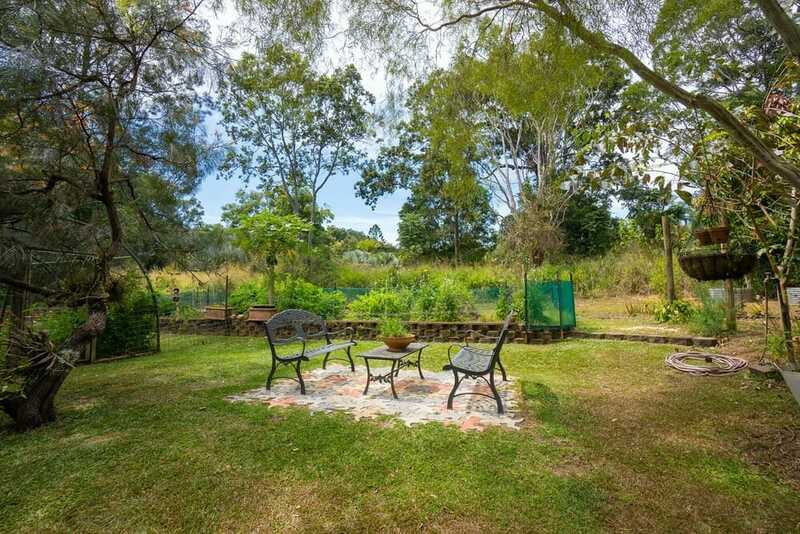 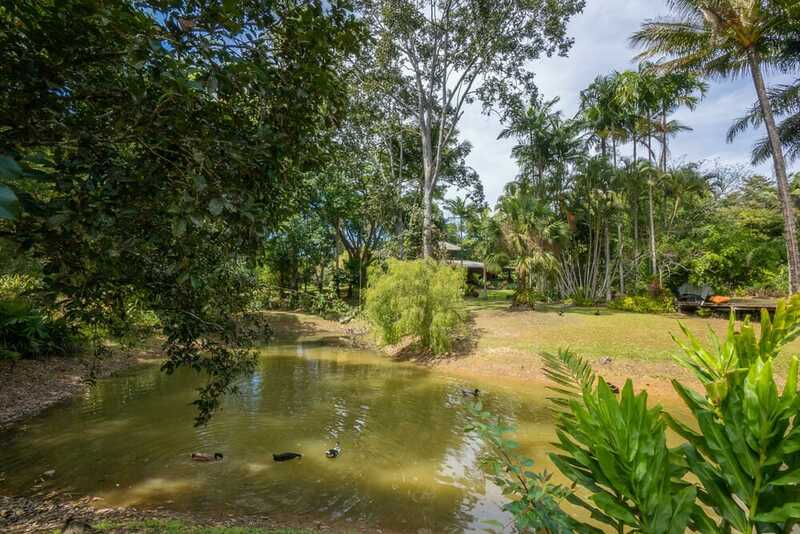 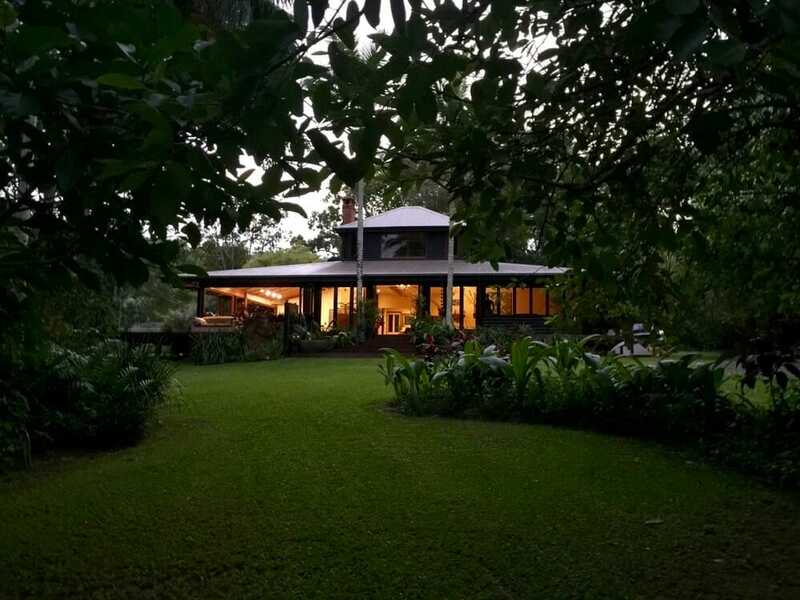 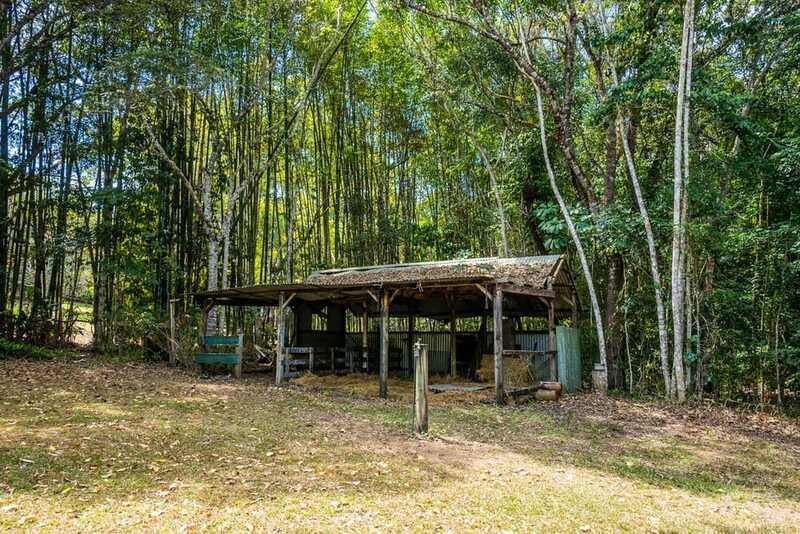 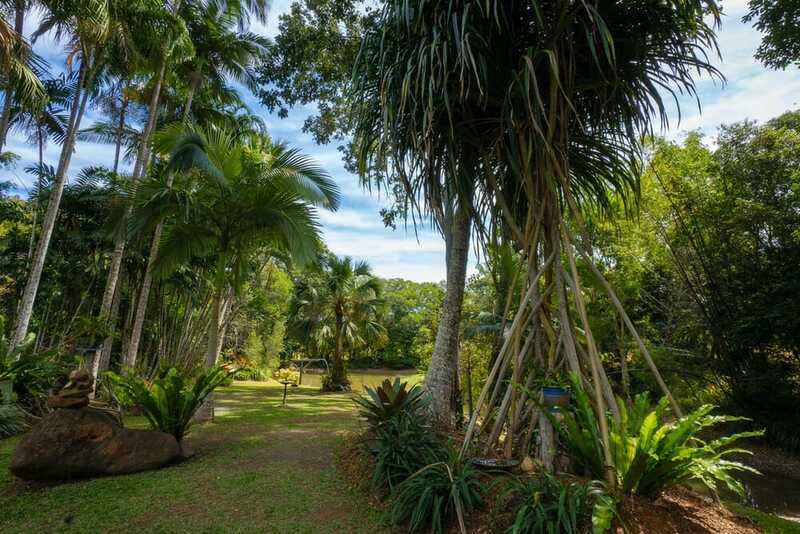 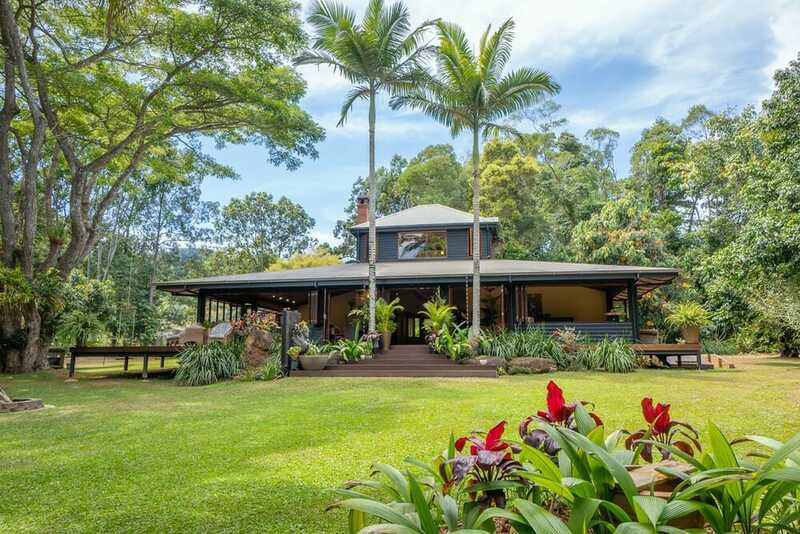 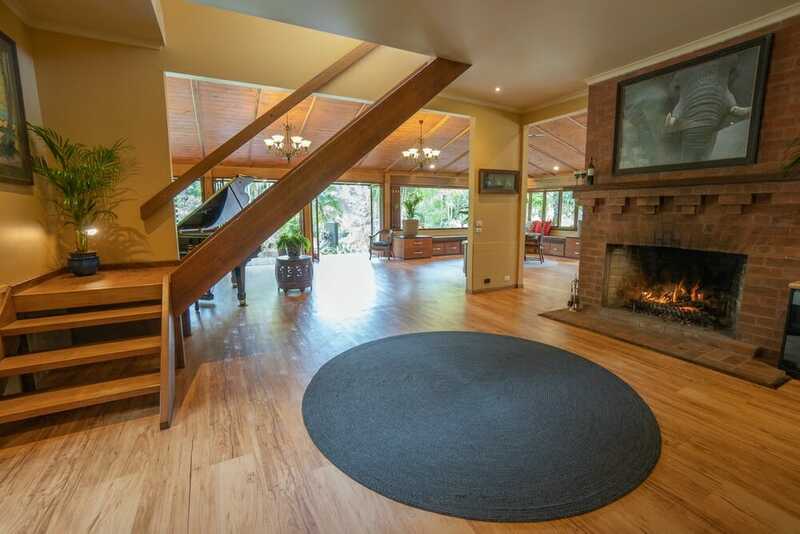 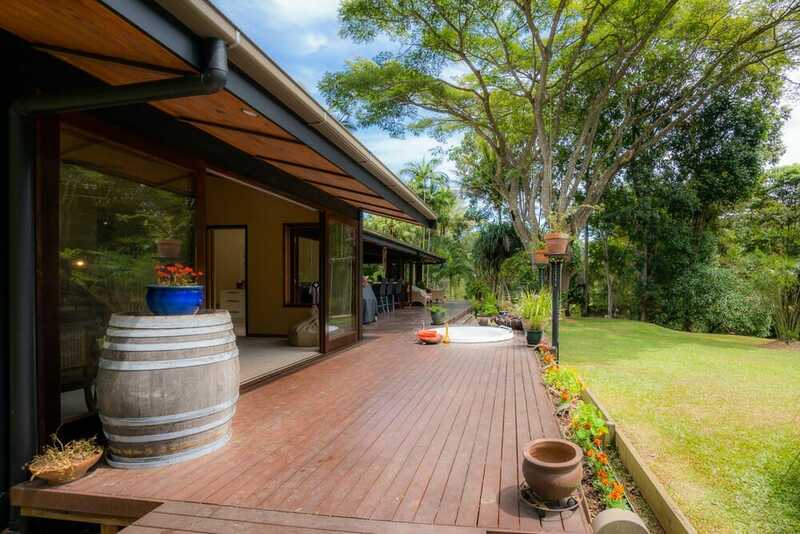 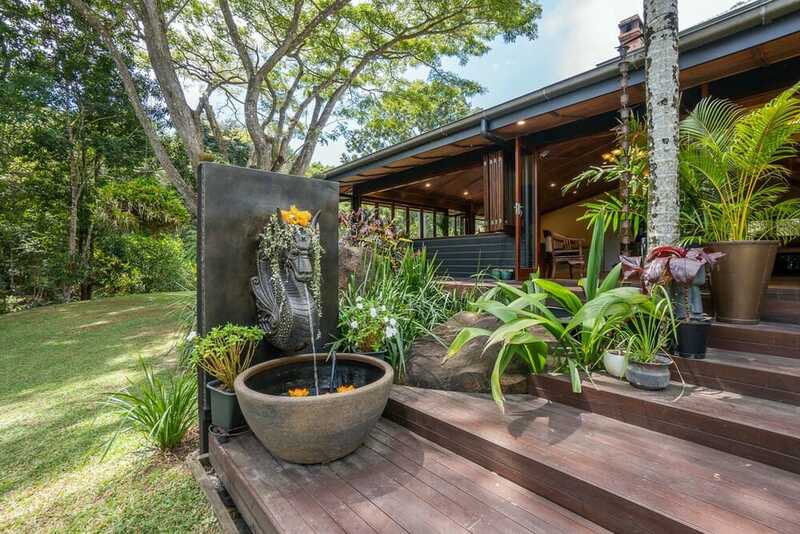 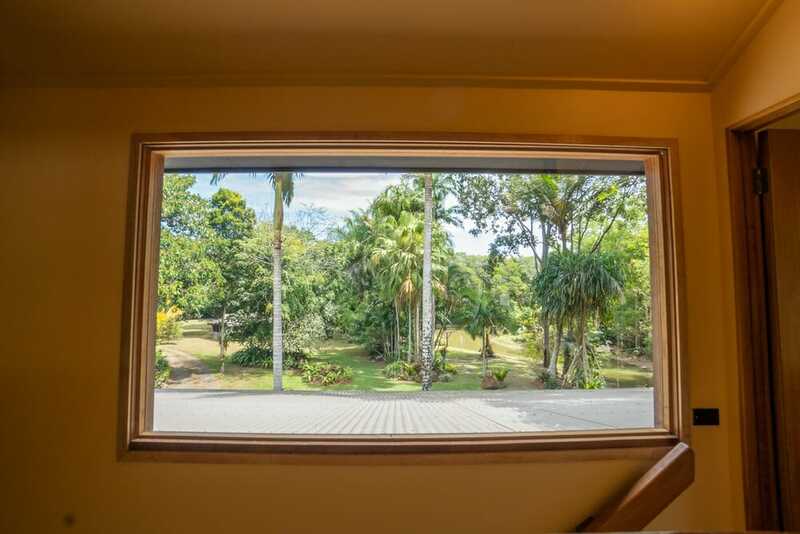 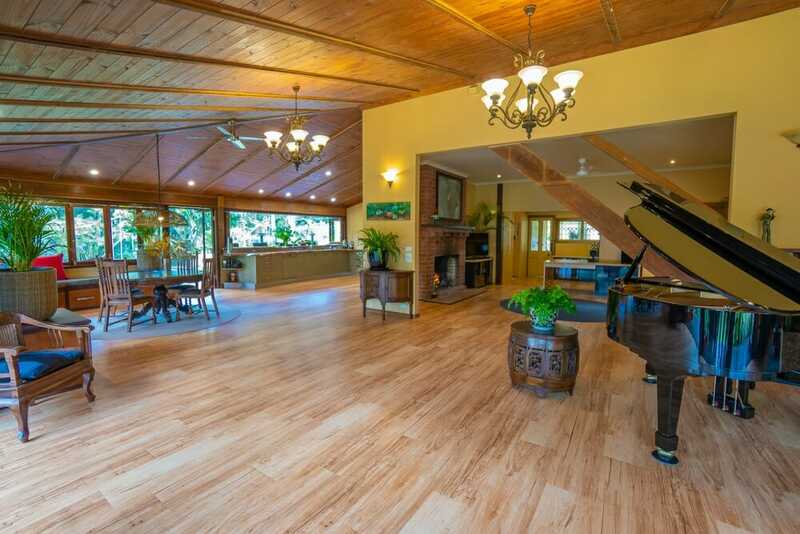 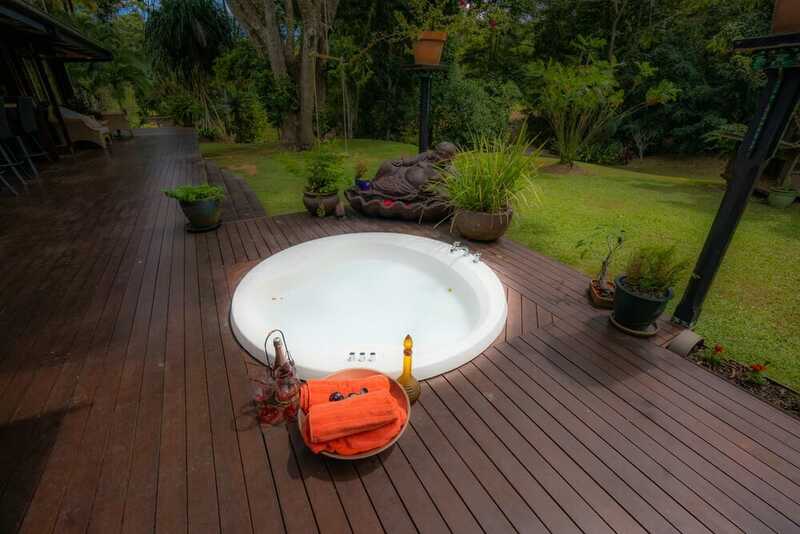 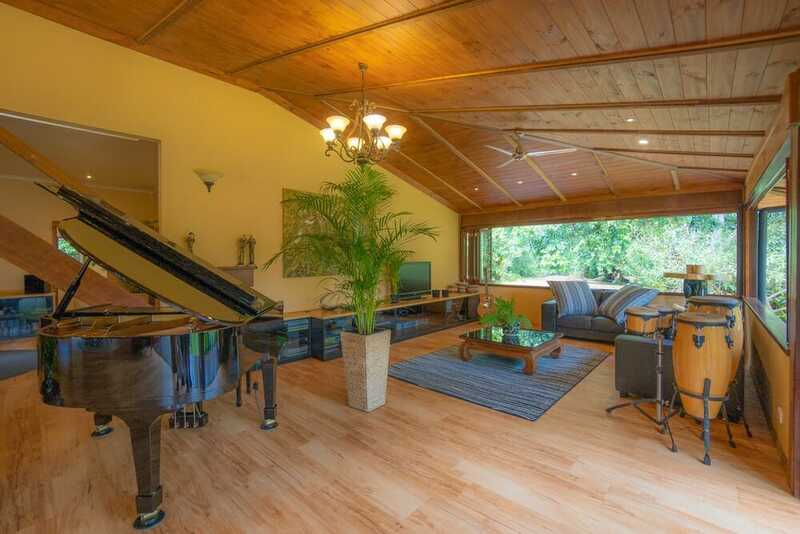 This is a supremely beautiful 3.6 acre property; Private, creative, peaceful. 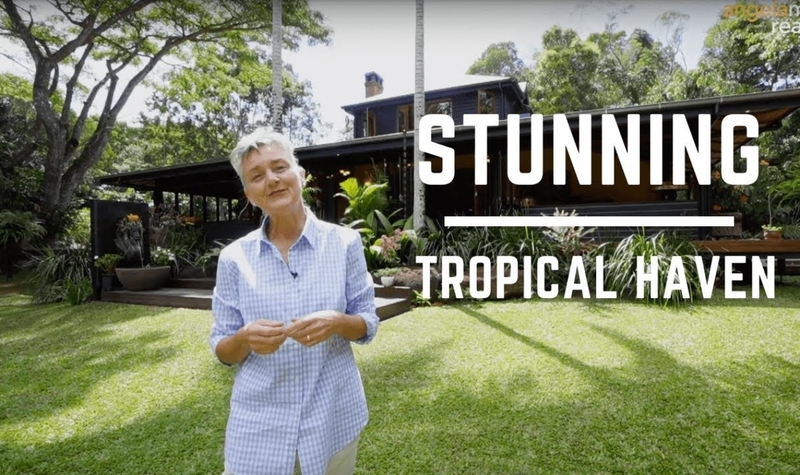 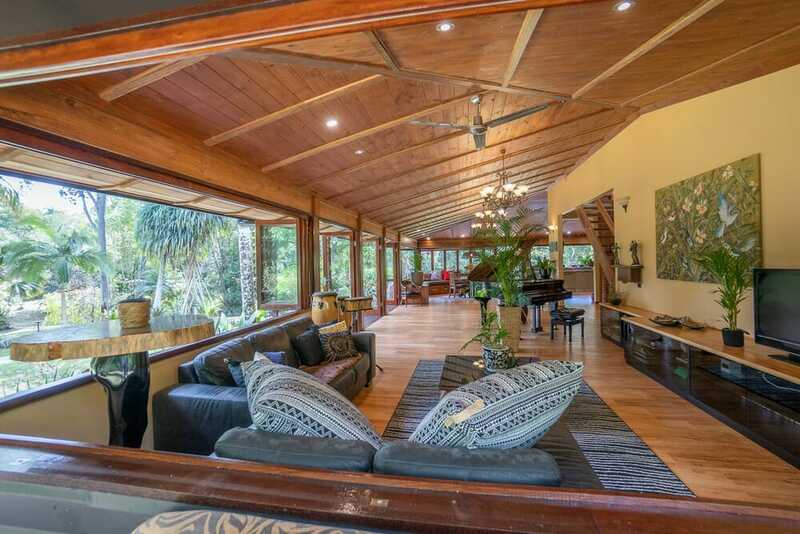 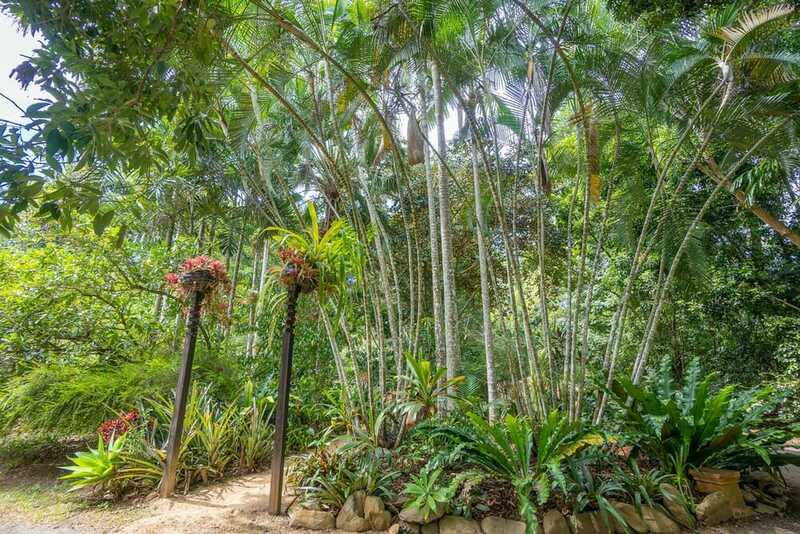 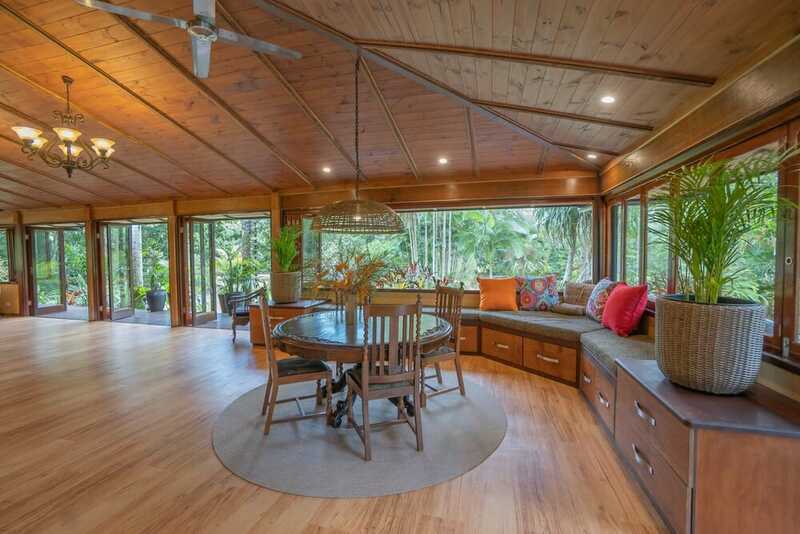 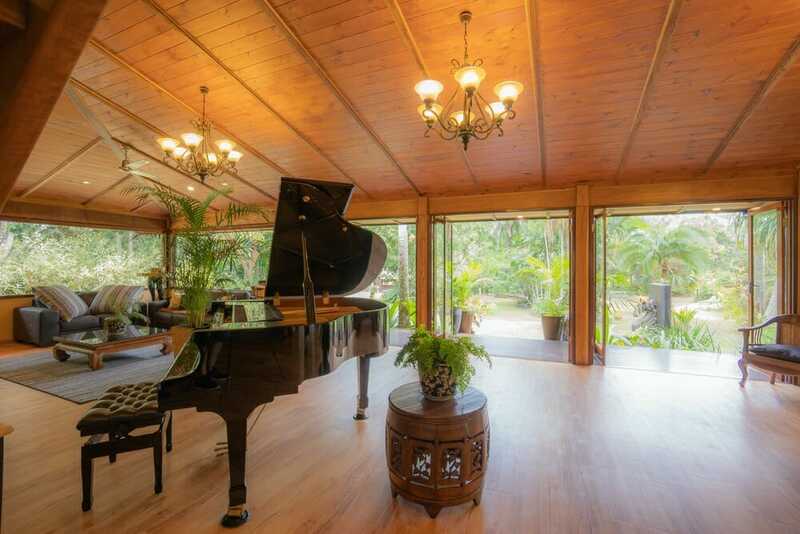 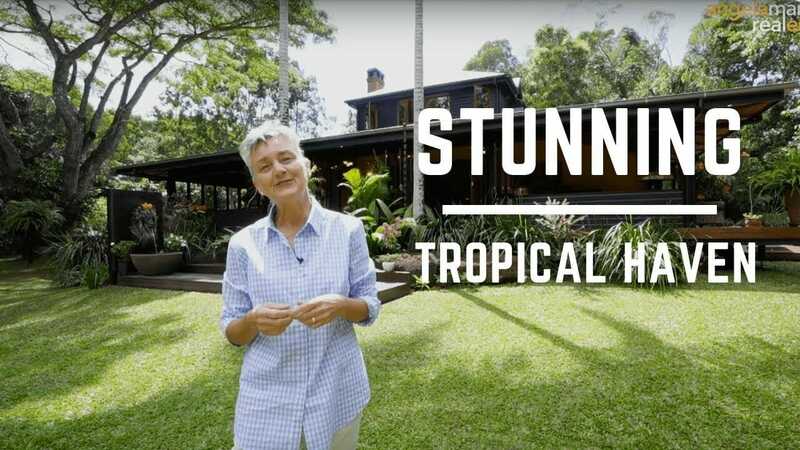 The house is a stunning open plan tropical design which blends both indoor and outdoor living and the sound of cascading water feeds the soul. 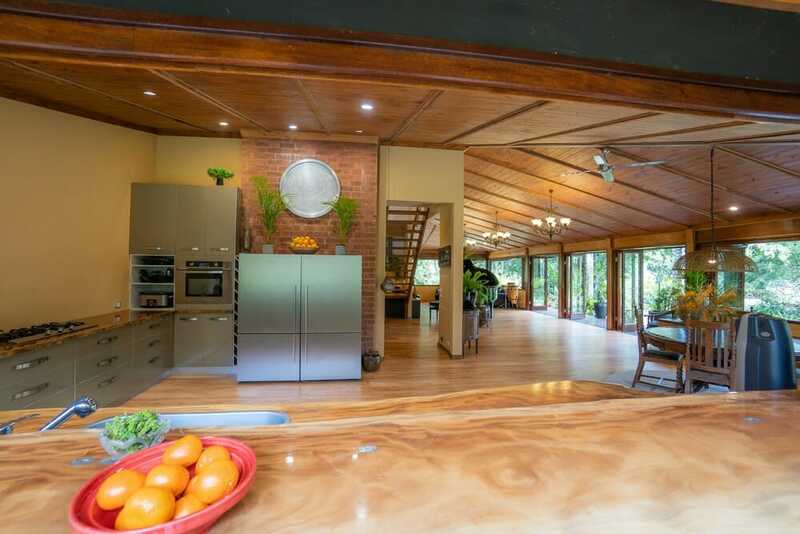 The main living and kitchen areas are at the centre of the home and spill out onto wide verandas which wrap around the house. 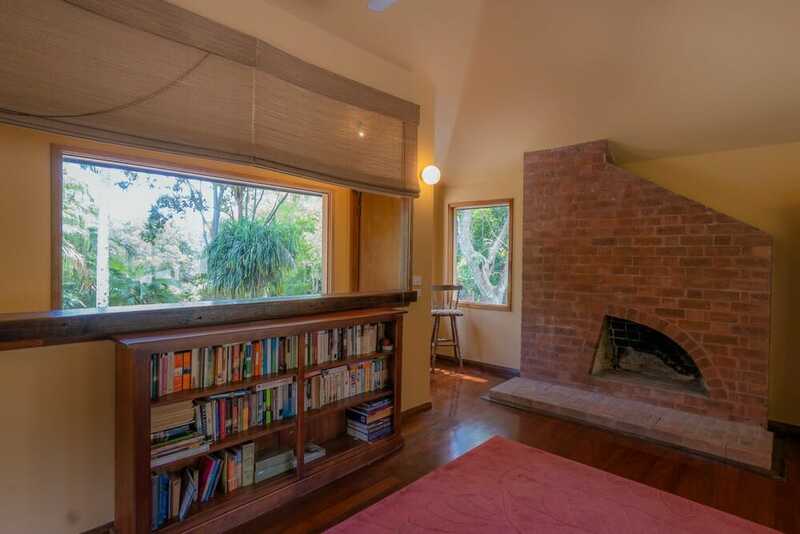 An open fire place with wooden mantle adds distinctive romance, character and charm for those cool winter nights. 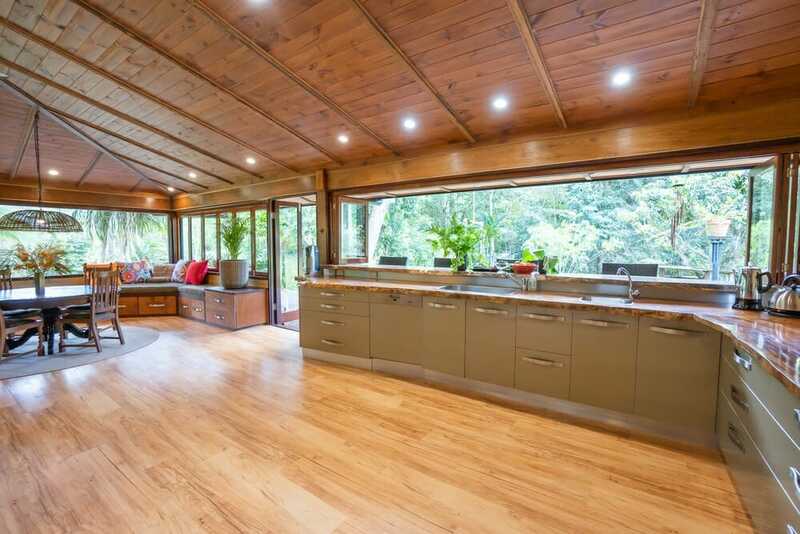 The kitchen has high-end fixtures and fitting, including highland cooktop and miele dishwasher. 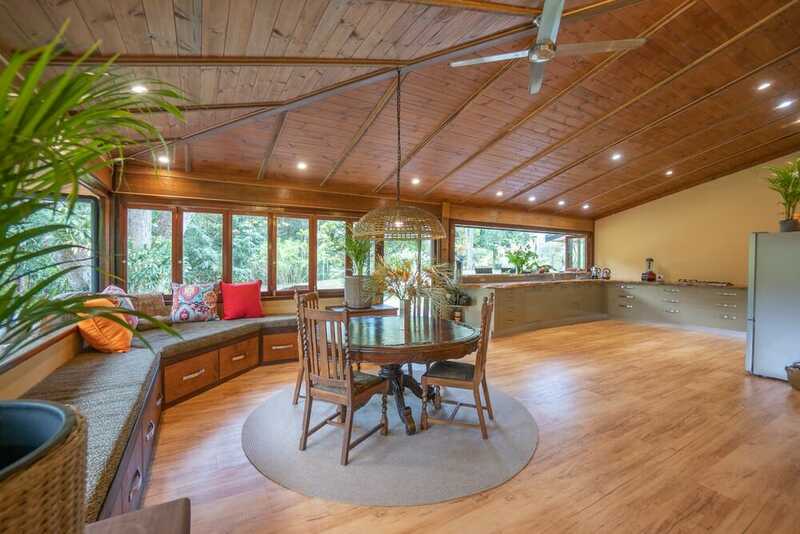 African Mahogany bench tops add organic impact to this luxury kitchen. 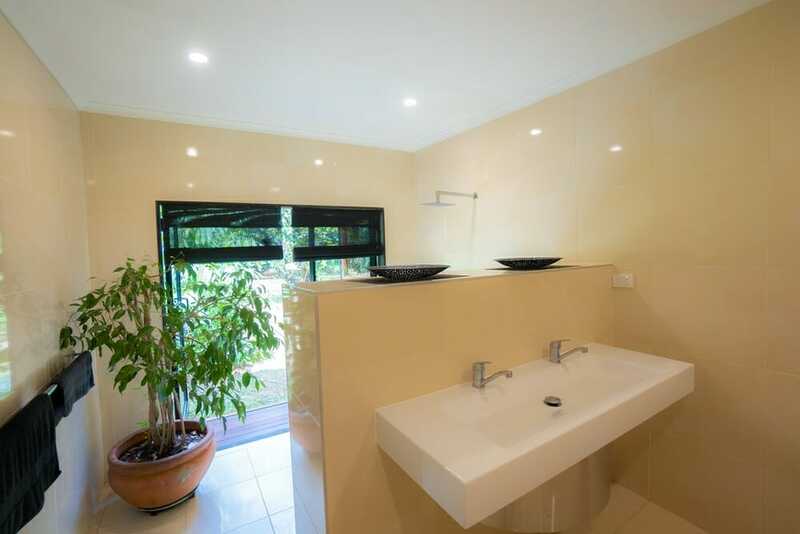 Master suite – the dressing area is huge and the ensuite is beautifully large, tiled and opens out onto the deck….with a sunken spa bath. 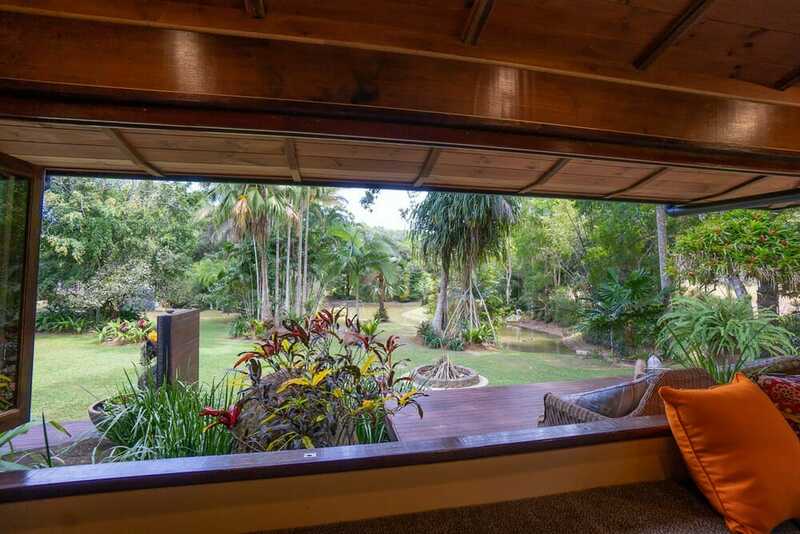 You’ll also be wakened up by birds and sunshine – not traffic! 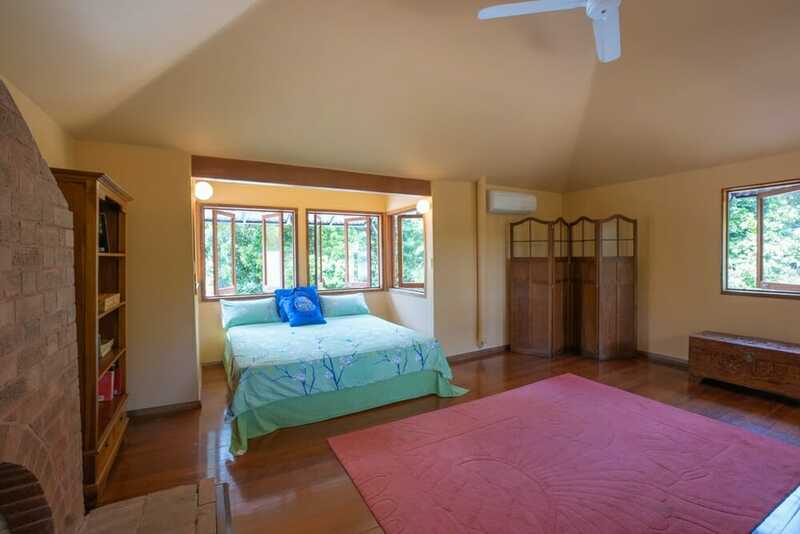 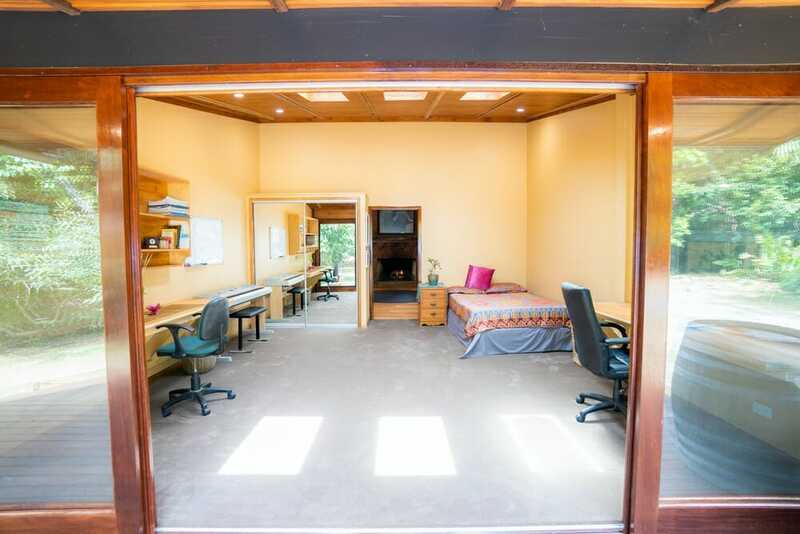 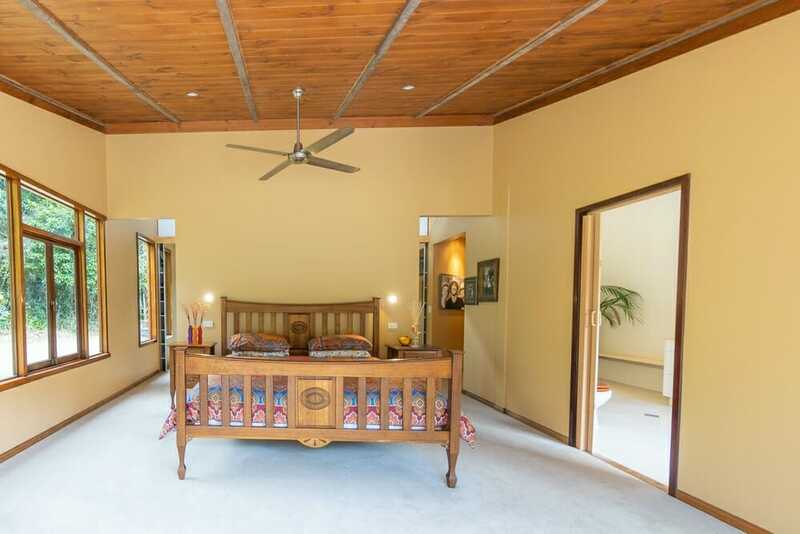 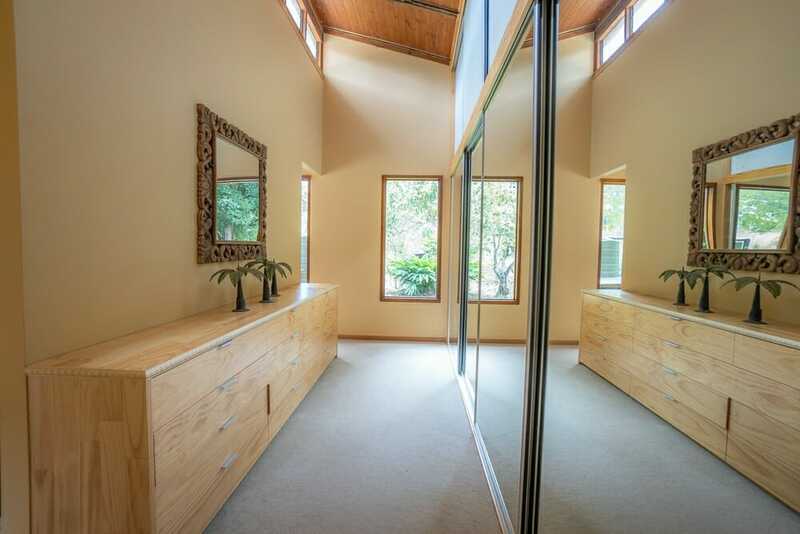 The loft bedroom is fairytale like with an open fireplace and the 3rd bedroom is super large. 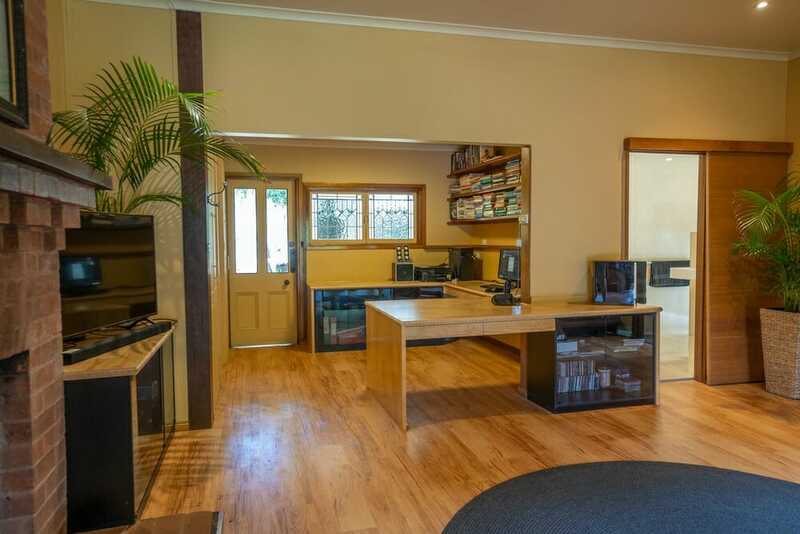 The office is designed for business. 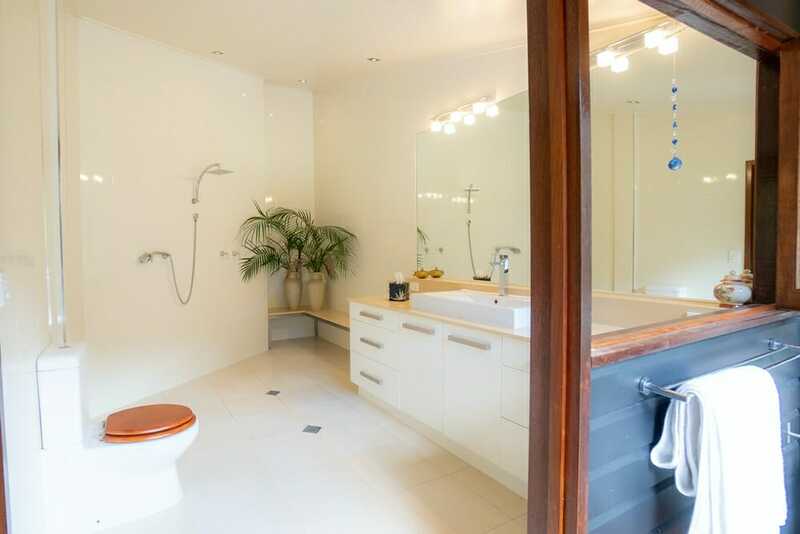 The main bathroom is unbelievably spacious and can be accessed from outdoors – very handy. 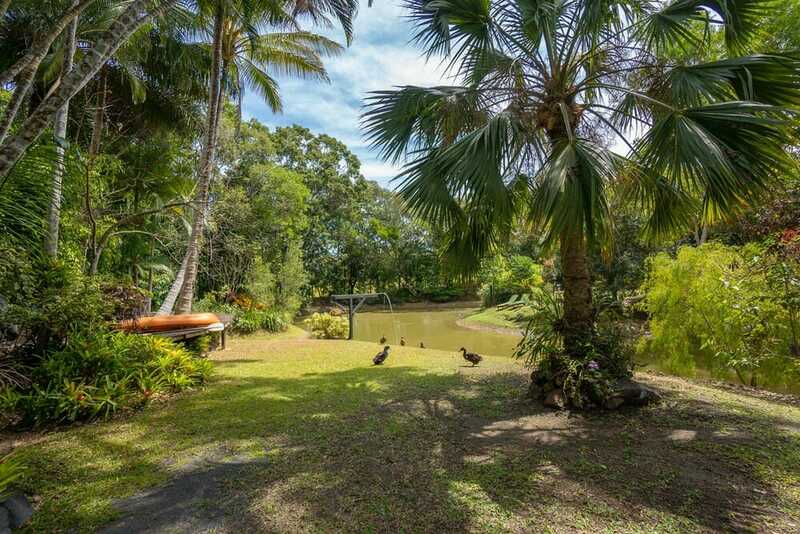 Gardens: There’s simply so much…sweeping lawns with central lake which is fed by 2 seasonal creeks, massive decked area around the lake, large paddock has a quaint old horse stable (could have views out to mountains), the duck/chicken house, the creation of an organic veggie patch, established fruit trees including mango/lime/mulberry, birdlife and wildlife. 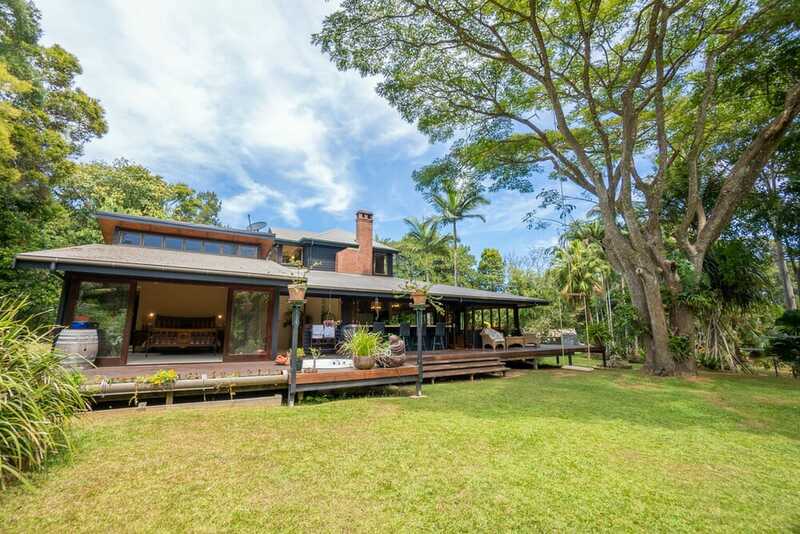 Don’t miss out on this magnificent lifestyle property.